The ELPH 300 HS is an awesome ultra-compact digicam that offers unmatched features and performance for a sub $250 camera; especially one of this size. Read more in our Full Conclusion. Between the Powershot ELPH 100 HS and the 500 HS, the Canon Powershot ELPH 300 HS is the mid-range model of their new ELPH HS series. The 300 HS is being touted by Canon as the world's thinnest 24mm, 5x optical zoom digital camera with Optical Image Stabilizer. It also sports the 12.1-Megapixel High Sensitivity CMOS sensor that allows for low-light pictures without the need for a flash. 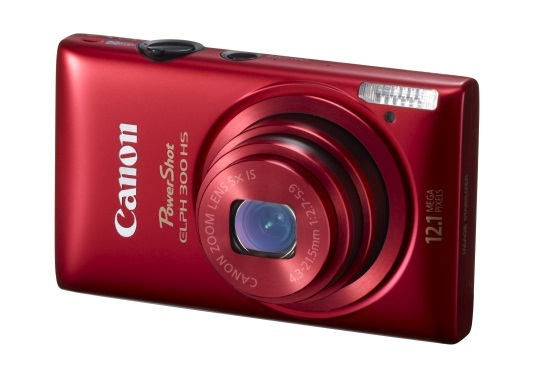 Other features of the Powershot ELPH 300 HS include 1080p HD video recording with digital stabilization, a 2.7-inch LCD screen and Smart AUTO functionality for adjusting exposure as well as focus. Also, a high speed burst mode captures up to 8 frames per second. 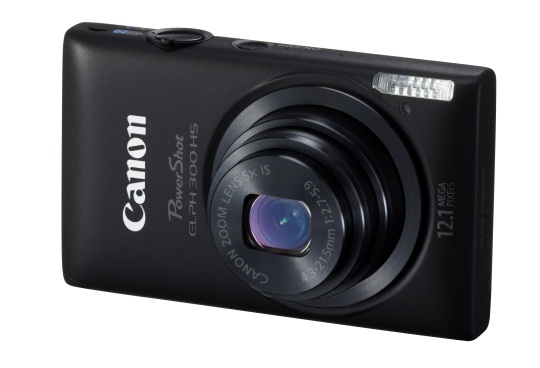 The Canon Powershot ELPH 300 HS is available now with a suggested retail price of $249.99.